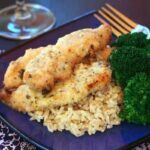 Transform everyday chicken fingers into a special occasion meal everyone will love with a simple lemony sauce that is easy enough for any night of the week. It’s time to Sauce it Up for this week’s #SundaySupper. 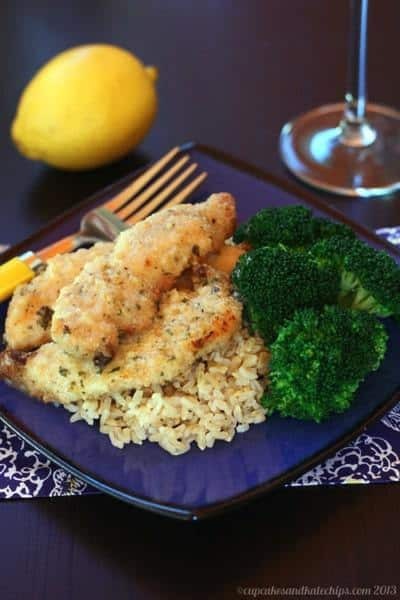 And with the addition of a lemony sauce, you can transform your kids’ favorite chicken fingers into a special occasion meal the whole family will love, yet is simple enough for a busy weeknight. 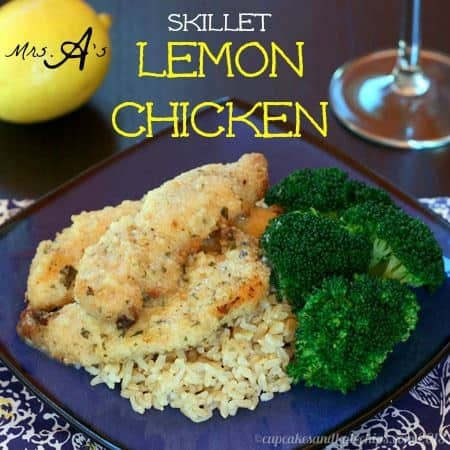 I am sure you will all enjoy Mrs. A’s Skillet Lemon Chicken. My mom is a good everyday cook. Granted, like I told you, she was from the “Cream of Whatever” recipe generation, so we often had her original version of Beef & Potato Skillet Supper or one of those casseroles with chicken and Stove Top Stuffing covered in Cream of Mushroom Soup. She made good spaghetti sauce, Rice-a-Roni was a staple, and Hamburger Helper sometimes made an appearance. But we always had something tasty, and never ended up in an endless rotation of cereal, Spaghetti-O’s and McDonalds. But for a special occasion, we never picked one of her recipes. When it was my birthday, or when one of us was celebrating an achievement or occasion, more often than not, the request was for Lemon Chicken. And the recipe for Lemon Chicken? It came from a friend that she used to teach with. Well, actually from her friend’s Italian mom. There is not a drop of Italian blood in our family, but it was this meal that we wanted for celebratory dinners. I hadn’t eaten it in ages, and was so excited to recreate it to share with my own family. 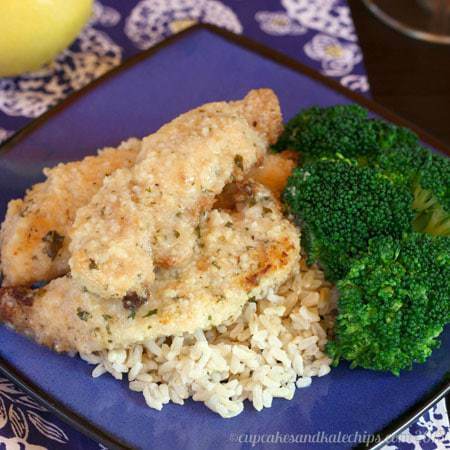 Lemon chicken starts with every kid’s favorite – chicken fingers. Maybe that is why it was a family favorite – it was kid food, just fancied up a bit. 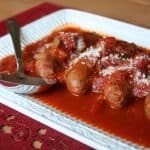 I made mine with gluten free bread crumbs, and baked them, but feel free to use what you like, have on hand, or have the time and energy for – frozen chicken fingers (yup, the is what mom usually did), homemade fried or baked breaded chicken tenderloins, really even boneless, skinless breasts can be used if you want to keep it lighter, but it doesn’t absorb the flavor and help to thicken the sauce quite as well. Mr’s A’s Lemon Chicken was baked in the oven, but I wanted to make it on the stove top, just to make it a little quicker and easier, in case your “special occasion” just happens to be any old Tuesday. I had to play around a bit, because the scrap of paper with the “recipe” didn’t have very exact measurements, but I like what I came up with. I did consider fancying it up with fresh herbs and maybe some white wine, but I wanted to stay true to the simplicity of the original, which really was all about the lemon flavor. The only other significant change I made was to switch from a flour-based roux to a cornstarch slurry for thickening, to make it gluten free. I served it over brown rice, but we usually ate it over angel hair pasta or linguini. I mean, the recipe did come from an Italian mama. If you want to go the pasta route, you may want to double the sauce recipe so that you halve plenty to coat your noodles. Then be sure to sprinkle it with some parmesan cheese (which I forgot in the photos – sorry!). What was your favorite “special occasion” meal as a kid? Prepare the Chicken Fingers as per below, or according to package directions or your favorite recipe. While the butter is melting, slurry the cornstarch in the chicken broth, the add to the skillet. Add the parsley, oregano, salt and pepper, cover and bring to a simmer. Add the lemon juice, then lay the chicken fingers in the sauce. Simmer, uncovered, for 10-15 minutes, or until heated through and thickened. Serve over rice or pasta, and sprinkle with parmesan cheese. Preheat oven to 450°F. Place a cooling rack on a cookie sheet, and spray with oil or cooking spray. Crack egg into a bowl, add a pinch of salt and pepper, and lightly beat with a fork. Add chicken to egg, and toss to coat completely. Place breadcrumb in a bowl, and, one at a time, coat the chicken tenderloins, and place on the rack. Once all of the chicken is coated, spray with oil or cooking spray. Bake chicken on rack for 10-12 minutes, depending on size, then flip and back for another 10-12 minutes. Who loves emo? Me, me, meeee and I just love your recipe and annot wait to try it! Yu!!! What a great back story for this yummy dish, Brianne. I hope Mrs. A knows that you guys request her dish for special occasions. I’d be so honoured if I were here. This sounds absolutely delicious! I think we had told her on a few occasions. my mom LOVES lemon anything, just like me! 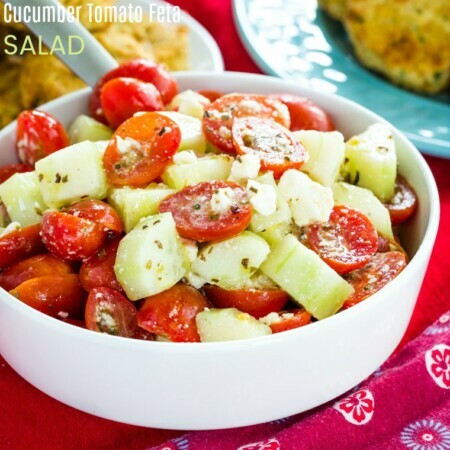 Yum, yum, yummy, that looks quick and easy and delicious!! I’ll take two helpings, please. This dish looks amazing. Pinned. I love lemon anything. This looks so good. I’m totally pinning this! haha my mom was totally into the Cream of Whatever too! As was I until a year or so ago! lol. Love the chicken! I bet we would love it here! I love new chicken recipes to make during the week. This sounds like something my boys would love. I’ll have to try it soon! 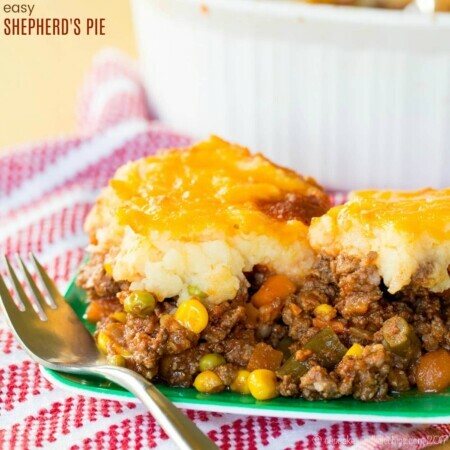 I love the family history of this recipe…it HAS to be scrumptious! And I know my family would love it, too! My daughter loves chicken fingers so I’ll have to try this sauce to shake things up. Thank you for participating this week. 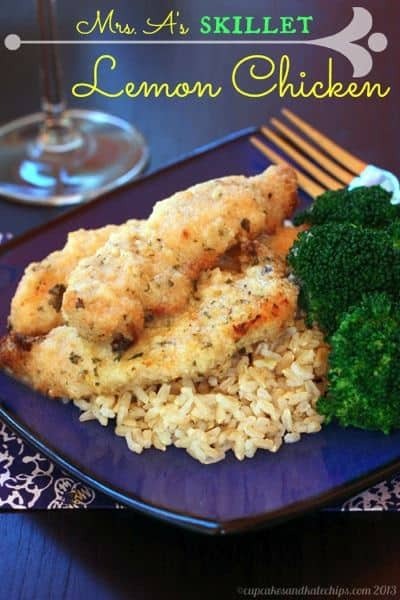 I love lemon chicken and I am loving this sauce! What a great recipe! Perfect for dinner!! 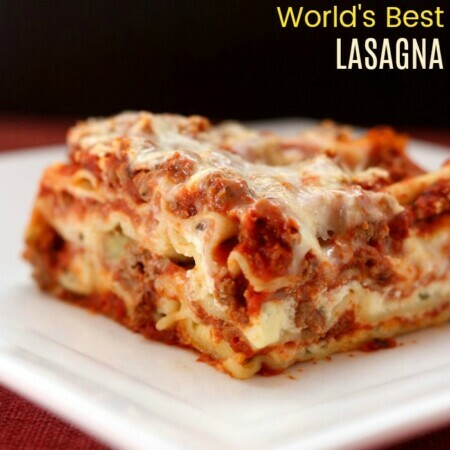 It is a great, easy dinner. 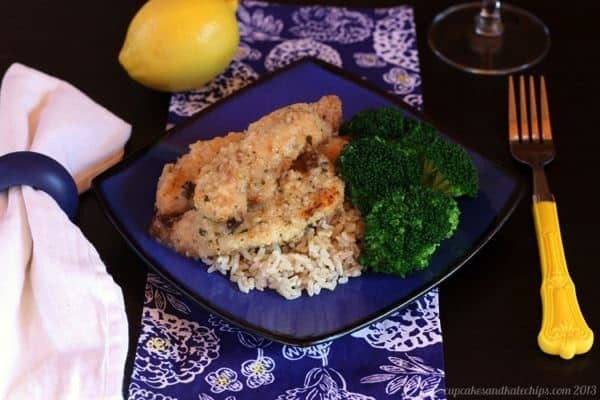 I adore lemon chicken…the more lemon, the better! I haven’t made any in ages, so thanks for sharing this to remind me how fab it is!!! I hadn’t had it in awhile since I started playing around with this recipe. I love that this is an old family favorite, Brianne. Those recipes are always the best! OK, this is a perfect chicken recipe. 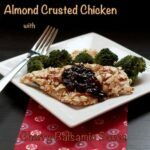 I am always looking for new things to do with boneless skinless chicken breasts and will be making this for sure. 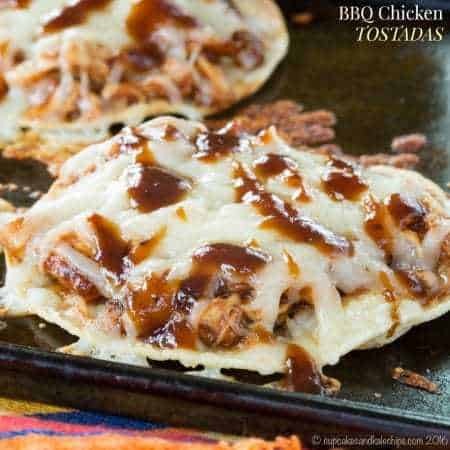 Can never have too many chicken recipes!